Back in 2007, when Nissan launched the first Qashqai, the brand said it was finished with regular hatchbacks and that crossovers were the future. 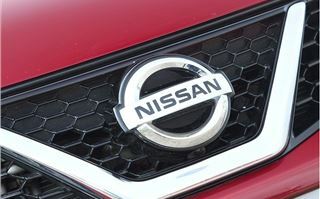 If the proliferation of faux-SUVs is anything to go by, Nissan was right – but it has still decided to return to the heartland of mid-sized family hatchbacks with its latest model - the Pulsar. 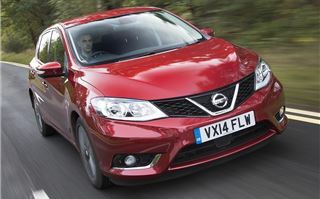 That means taking on the likes of the Kia Cee’d and Ford Focus. That’s no easy task, yet Nissan isn’t going down a particularly bold or exciting path with the Pulsar. 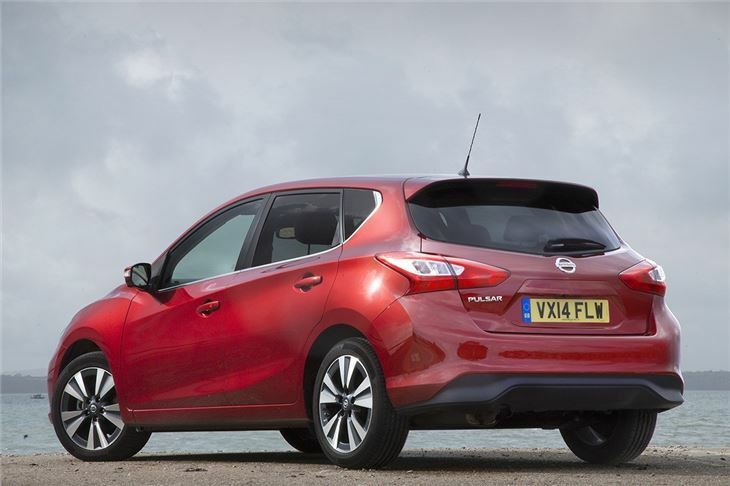 It doesn’t promise exciting driving dynamics or scintillating performance – but it does offer a genuinely spacious cabin with room for four adults, plus a usefully large boot and cheap-to-run engines. Two are offered from launch – a 1.5-litre diesel with official economy of 78.5mpg and emissions of 94g/km, plus a 1.2-litre petrol, tested here. The petrol produces 115PS and 190Nm of torque, plus it offers a respectable CO2 emissions figure of 117g/km and economy of 56.5mpg. A relaxed, comfortable drive is the order of the day rather than blistering performance. A 0-62mph sprint time of 10.7 seconds won’t set the world on fire, but the Pulsar is refined and smooth, even over rougher road surfaces. 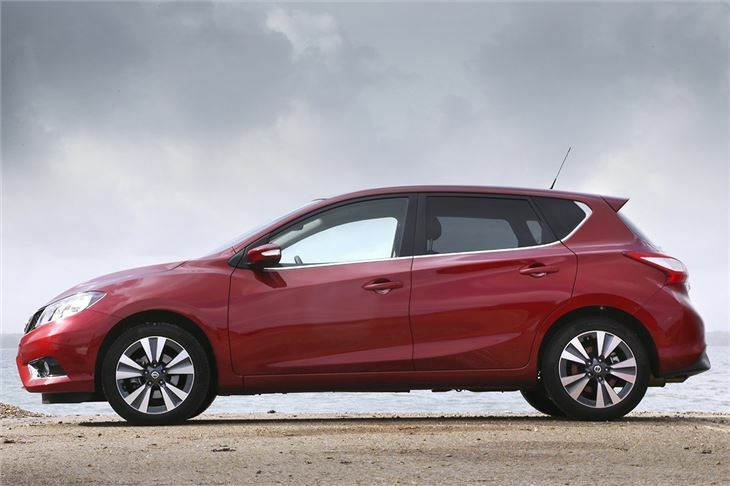 Around town the light steering, accurate gear change and reasonable visibility make the Pulsar an easy car to drive – threading through gaps, parking and stop-start traffic are all fairly effortless, while motorway cruising is quiet and relaxed. 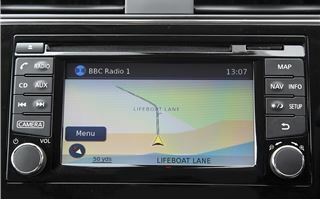 The petrol engine tested is muted even at 70mph, though there is a little wind noise caused by the door mirrors. There’s not much pleasure to be taken in stringing together a set of twists and turns – but neither is there anything unexpected, nor any hint of incapability. The steering points the car where you want it to go and it goes there, without excessive pitching, rolling or any kind of drama. For most family car buyers, that’s exactly what is required. 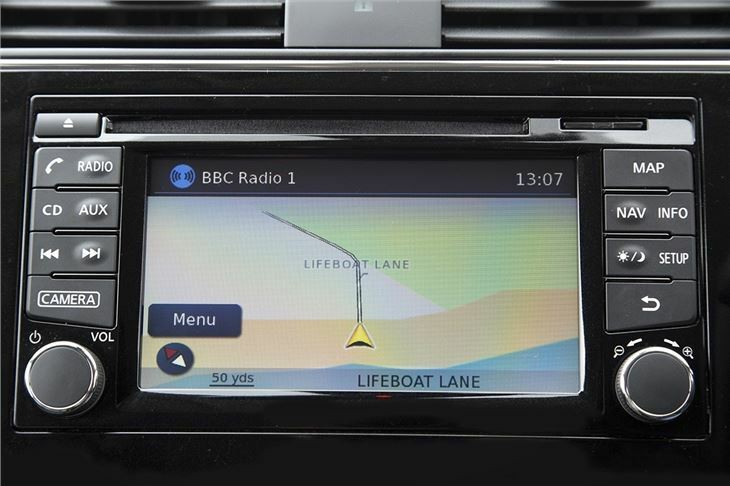 Family car buyers will also be impressed by the practicality. 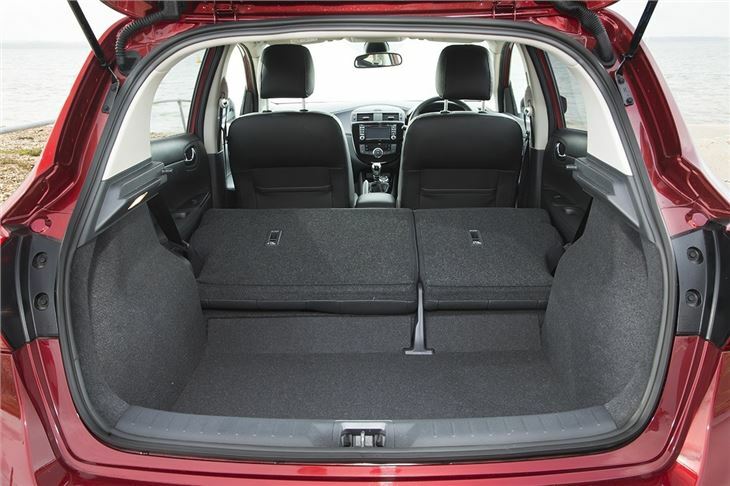 The rear row of seats is spacious even by the standards of larger cars like the impressive and roomy Skoda Octavia. 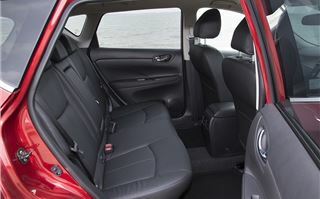 In fact, rear leg room is best in class and headroom is plentiful. 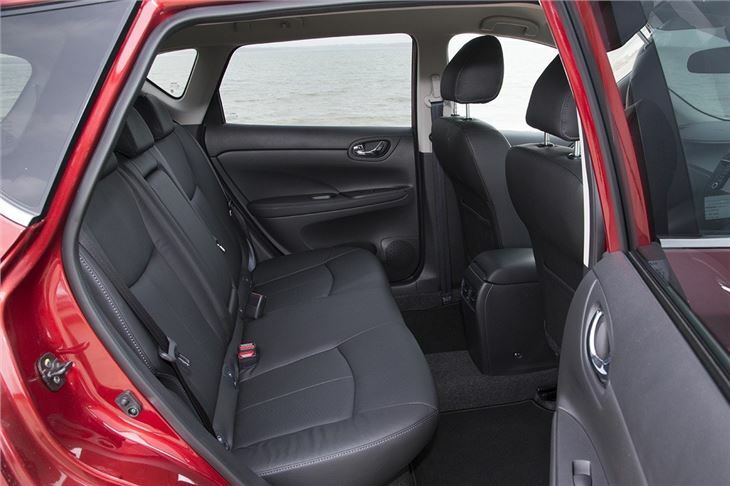 Adults will fit comfortably and there’s plenty of space for manoeuvring awkward child seats. 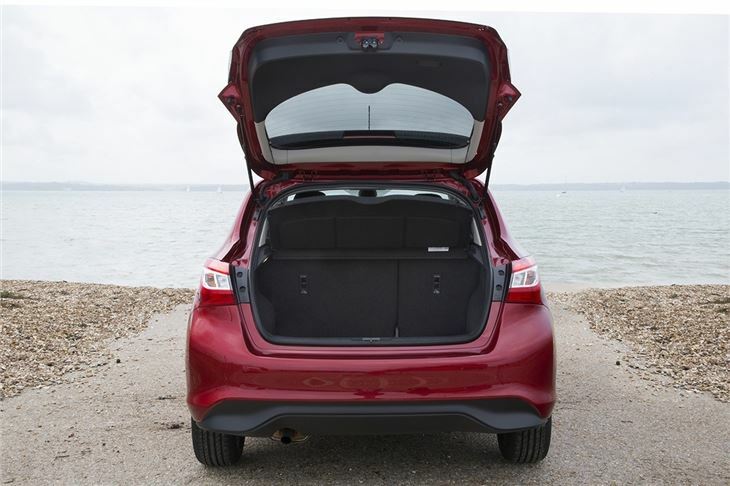 Impressively, the spacious rear seats haven’t eaten into boot space. 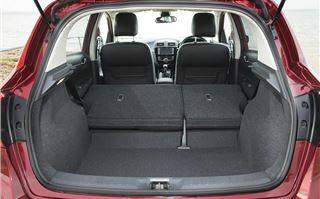 The rear load area offers 385 litres with the rear seats in place – which is more than a Volkswagen Golf. 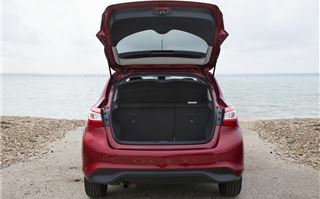 This can be expanded to a huge 1395 litres by folding the rear seats down. The boot itself is a good wide shape, but there is a high load lip to get bulky items over, which is an unfortunate blemish on an othwerwise clean practicality sheet. Up front the Pulsar is comfortable, but the design is about as drab as it gets. It is easy to use and everything feels hardwearing, but there’s no sense of verve or flair to the execution and, while the materials might feel durable, they certainly aren’t plush. That said, if you want practicality and functionality over all else then there’s little to fault with the layout in the Pulsar, which gets nice touches likes steering wheel mounted controls as standard. 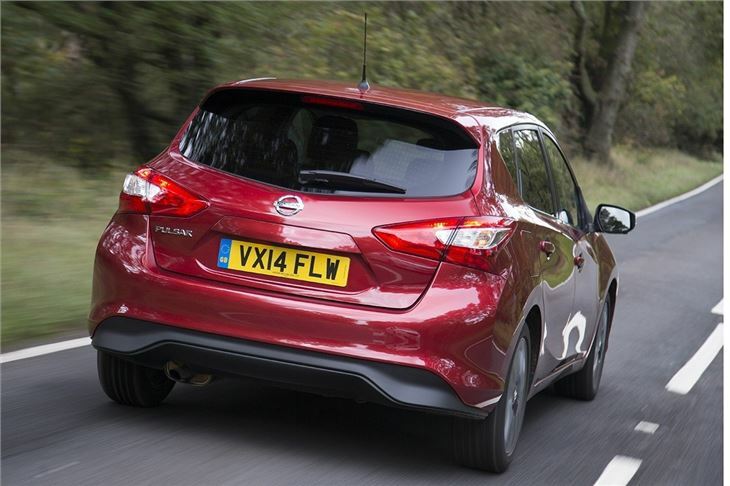 In keeping with the rest of its current model range, Nissan has kitted out the Pulsar with plenty of technology. Mid-grade cars get forward emergency braking, automatic lights and wipers plus keyless go, but the real toys come with top-of-the-range Tekna models. 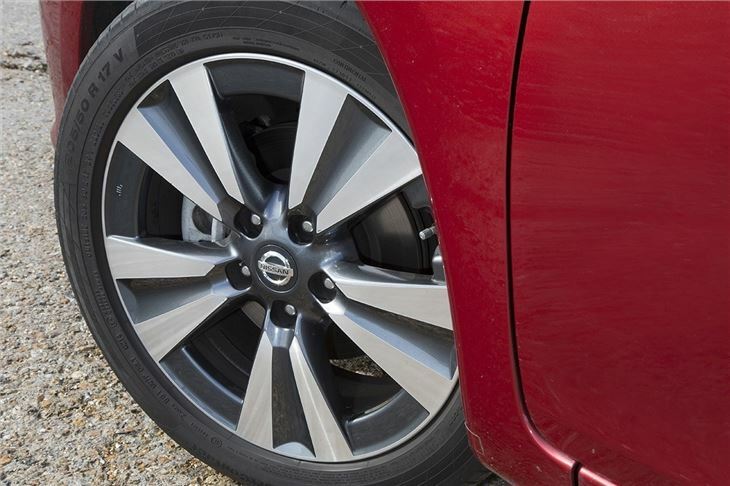 These come with the full ‘safety-shield’ package, including around-view monitor, which makes parking in tight spaces and garages incredibly easy, as well as blind spot assistance and moving object detection in the reversing camera. The range-topping model is priced from £20,345, so it’s fairly expensive – but it’s cheaper than a Cee’d in top-trim. 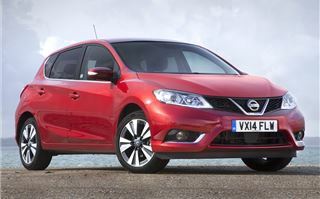 In fact the Pulsar represents pretty good value for money compared to its rivals – even entry-level models get some useful kit like Bluetooth and a colour display fitted as standard, as well as alloy wheels. Paired with the impressive practicality there’s plenty of appeal. 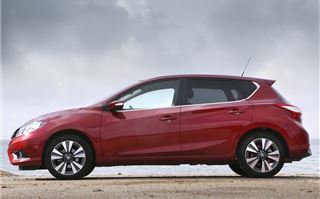 That said, the Kia Cee’d and Hyundai i30 both offer a better-finished cabin, while the Ford Focus is a more accomplished driver’s car. The Pulsar is a perfectly commendable and capable car plus it excels when it comes to space, but in every other area it’s just a little on the boring side. 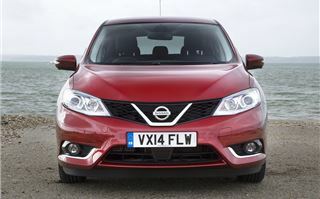 That said, for someone traditional who doesn’t want to go down the Qashqai route it could just be perfect. 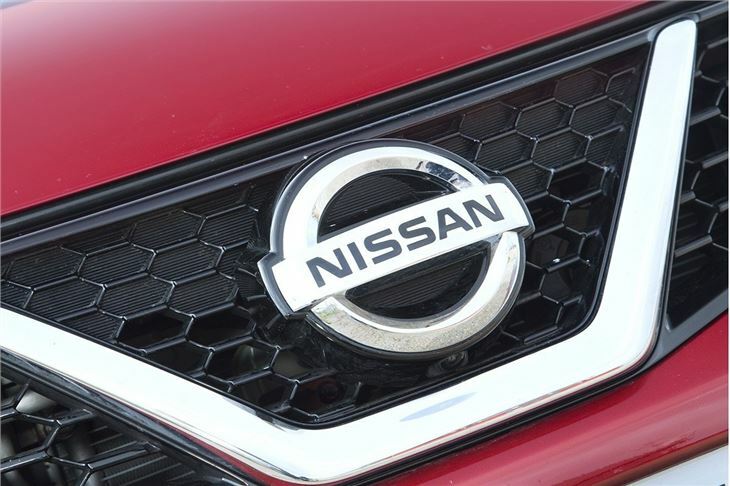 It has similar styling to its crossover stablemate and offers a lot of cabin space, but it rides lower, plus it looks more like a car and less like an SUV. 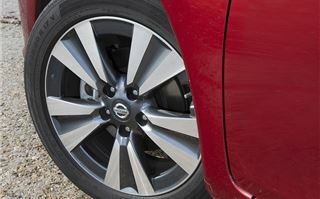 If that’s what you want it’s a strong offering, but there are sharper and more enjoyable cars out there for the more enthusiastic or discerning driver.